Darren Bounds,the CEO of Jacksonville Florida based startup Path.To considers his startup the “e-harmony” for recruiting tech talent. There is a lot that goes into the backend of this job recommendation platform. Path.to must have something right because well known companies like Eventbrite, Evernote and Vimeo have already used the young startup to recruit tech talent. When someone with a tech background is looking for their next tech opportunity and creates a profile with Path.To, they add their normal skills, and resume along with information that’s aggregated from their professional social graph including Behance, Dribble, Forrst and Github. This way a more accurate picture of the candidate is created for those recruiters and HR people looking to fill tech positions. The users score continues to grow as they apply to more jobs and make more choices. We first covered Path.To when they expanded to Chicago, Boston and New York City. Now they’ve added; Austin, Dallas, Houston, Boulder, Denver, and Los Angeles. They’re adding their service to Philadelphia, DC, and Pittsburgh tomorrow. They’re also adding Silicon Prairie on September 4th and Atlanta Georgia along with Jacksonville Florida on September 12th. Path.To will email job candidates available positions that the service feels are a good match for them. Path.To users searching for a job can opt out of certain employers if they feel that they aren’t a fit, and of course continue to apply for jobs that they feel are, the perfect fit. 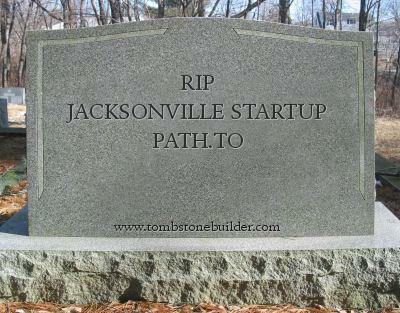 Jacksonville Florida based startup Path.to has announced an expansion of their job matching startup to three major cities. Chicago, Boston and New York City joined the Path.to network to connect potential job candidates to hiring employers. Path.To connects the right people to the right jobs using their sophisticated, proprietary algorithms assuring both job candidates and hiring employers that their connection is more relevant than other job search platforms. The startup was founded last year by Darren Bounds who also serves as their Vice President of Product. Path.To understands an applicants passion, personality and experience and says that they connect people with jobs they love. In addition to the new markets Path.To has announced some new email features as well. Path.To will email job candidates available positions that the service feels are a good match for them. Path.To users searching for a job can opt out of certain employers if they feel that they aren’t a fit, and of course continue to apply for jobs that they feel are, the perfect fit. The company also announced a social resume feature that will allow users to add their social network information, accounts and streams so that potential employers don’t have to dig through the internet to find it. This also insures that the candidate shares what they want from social media, and delivers a more “open” feeling in the job vetting process. At this stage in the game, Path.To is still free for both applicants and employers although Bounds told TNW that they will shift to a paid model for employers later on this year.